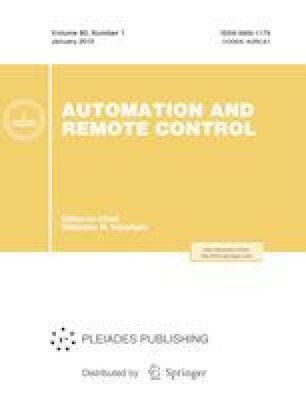 The paper offers the variants of manipulator control system design with PID and polynomial controllers. A manipulator dynamics model is used for compensating the moments affecting its sections during the motion. Russian Text © V.V. Tyutikov, E.V. Krasilnikyants, A.A. Varkov, 2015, published in Avtomatizatsiya v Promyshlennosti, 2015, No. 6, pp. 58–63.